After 7 solid days of nothing but research we decided to get our heads out of the books in the middle of last week and actually build something. Research continues in the background but it helps on these projects to actually start to construct the basics so you feel like you're making some progress. There were literally hundreds of variations and modifications made to these locomotives in their long lives in numerous countries, not to mention liveries, but lots of parts are universal and as ever we started at the bottom. 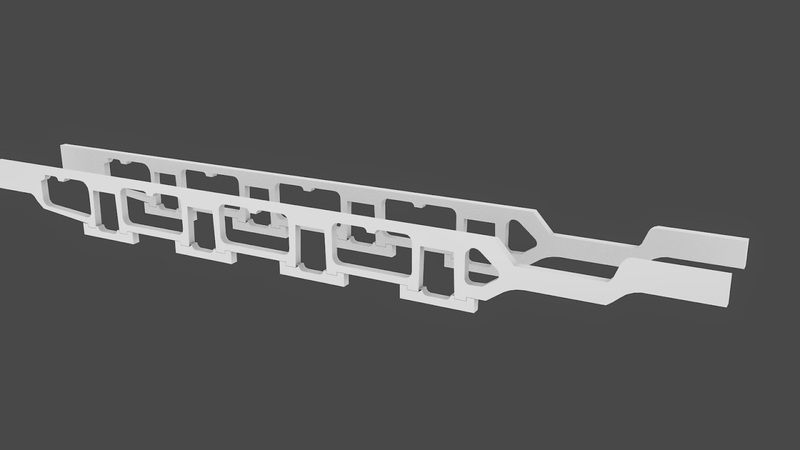 We always model the animation of the valve gear first using simple circles and rectangles. 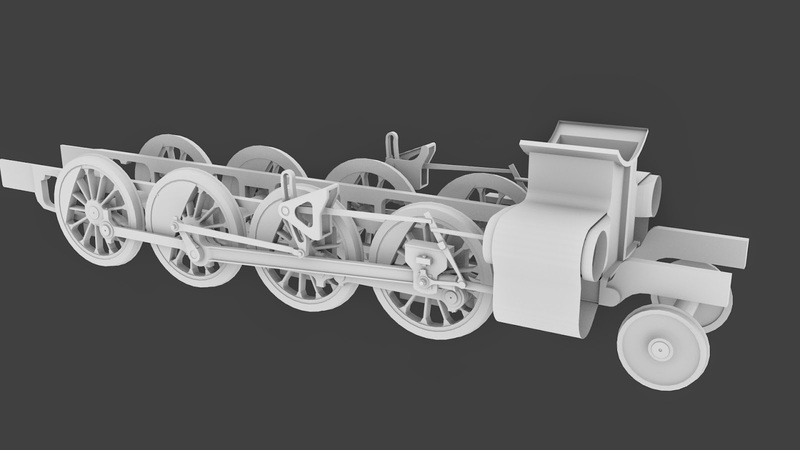 Once this is rigged and working then we modelled the components: wheels, rods, etc. You can also see here some basic shapes standing in for the cylinders assisting with the correct alignment. We then moved onto the frames - which in this case are box frames, something we've not had to build before as our previous projects have all been UK locos with solid frames. 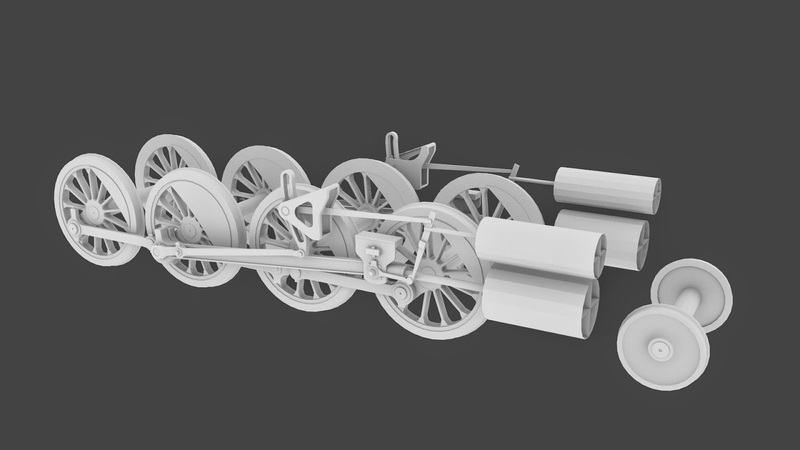 The next part modelled is the cylinder and smoke box saddle, seen here in mid progress - in reality these were cast in 2 halves and bolted together and were symmetrical so they could be fitted either way around making replacement of any that were damaged somewhat simpler. An important feature for their expected wartime usage.